Despite the new arrivals in stores, it just seems wrong to have to consider my fall wardrobe when it's 80 degrees out with 80 percent humidity. You want me to try on what? Leather pants and cashmere sweaters? Nuh uh, not gonna happen. But fall bags? 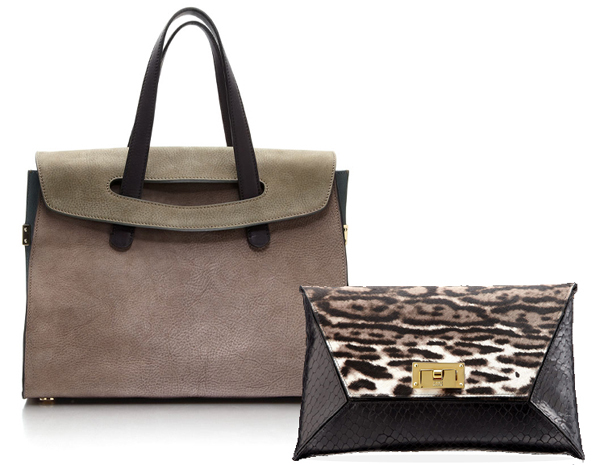 Fall bags I can get behind in any weather. Just a few stores down from the new SW outpost, Tiffany is not one to be outdone in the luxury market. The brand is also introducing its Fall '12 leather collection this month, with enough jewel tones and exotic skins to make The Well-Appointed Catwalk a very happy girl. 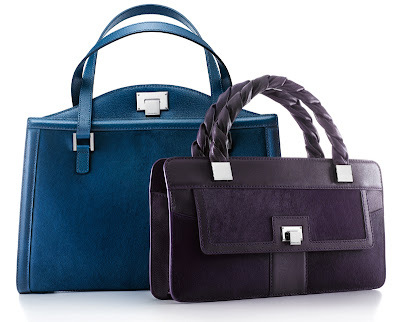 Harriet Satchel and Sloane Top Handle by Tiffany & Co.
And at Bloomingdale's, anchoring the mall, Z Spoke looks to be the most interesting handbag collection the store is carrying for fall. I just love that robin's egg blue against the deep, earthy tones. 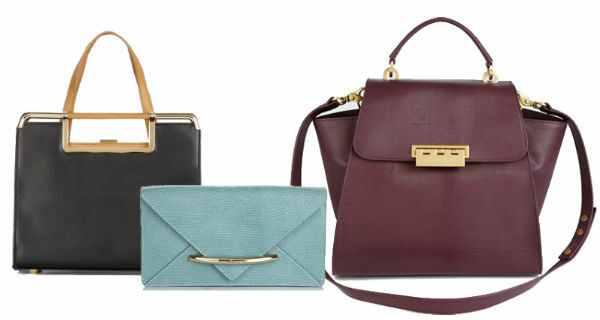 Any noteworthy new bags you've spotted in the stores lately? I like these bags! I know what you mean with fall clothes. I think I've been okay with fall colors, but still in the form of summer clothes!